Take 42% off the entire course. Just enter code slvillalba into the discount code box at checkout at manning.com. 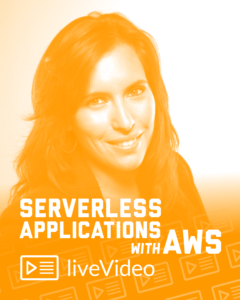 Serverless Applications with AWS guides you through a fully working image resizing service built on the AWS Lambda platform. 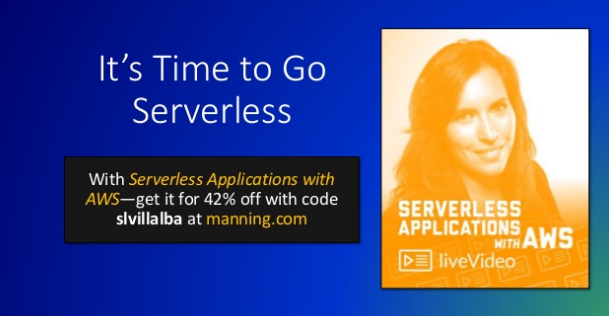 As you create the application, you’ll develop an understanding of S3 and event-driven architecture, use DynamoDB for flexible metadata storage, and learn the principles of serverless application design. You’ll even master REST APIs and authentication. In each crystal-clear module, you’ll put your new knowledge into practice as you watch your application grow before your eyes. Check out the slide deck below for more information about the course.